The name "Giant Hairgrass" is probably best to describe the appearance of this exceptional grasslike plant. The leaves grow to a length of 30-50 cm and to a width of only 1 mm. 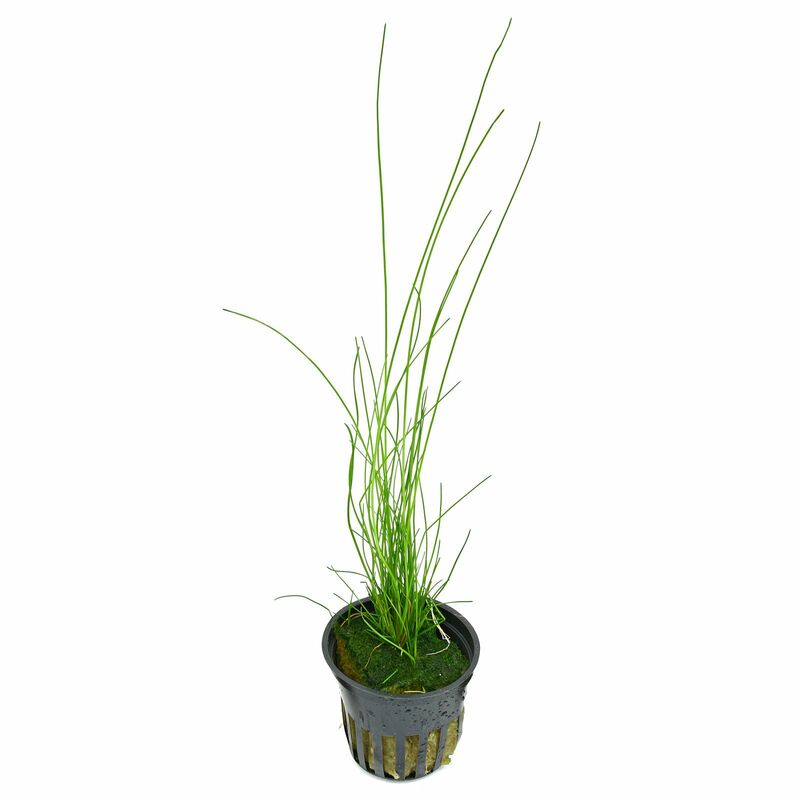 It is also known as Eleocharis montevidensis in the hobby, however its identity is not yet clear. Also sold with the label Eleocharis sp. 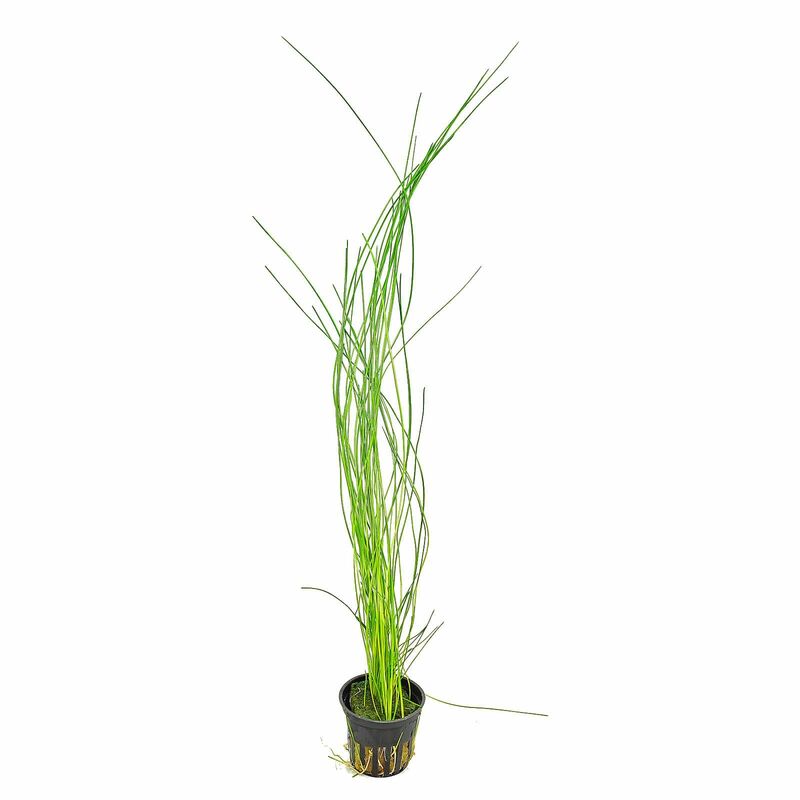 Good healthy plant, arrived very well packaged and delivery was fast. 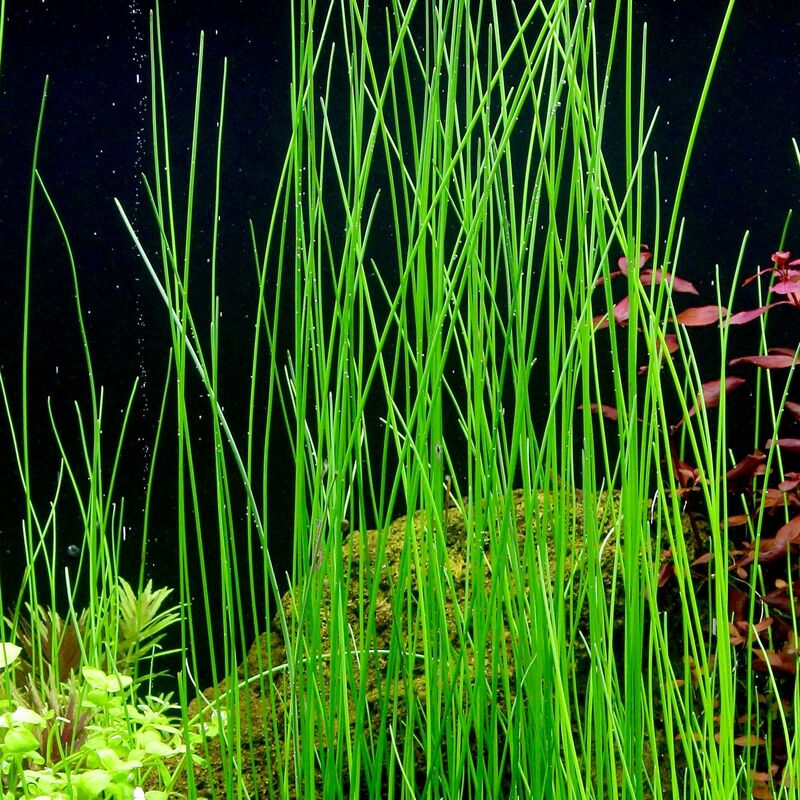 Plant is a nice alternative to other grass/vallis type plants. Fast and speedy delivery of my plant order. Unfortunately my Eleocharis "montevidensis" arrived in a bad state of root rot. Smelled it instantly as I removed the wool from the roots. A really foul smell. Planted it anyway but plant died within a couple of days. Received in Italy in a very short time. Plants look great and healthy!! But I expect the plants are little longer and ready for the purpose in the background of my aquascape. Anyway a special thanks to Aquasabi's staff who suggested me to wait until Monday for shipping in order don't leave plants laying at the courier warehouse during the weekend. I really appreciate their care!